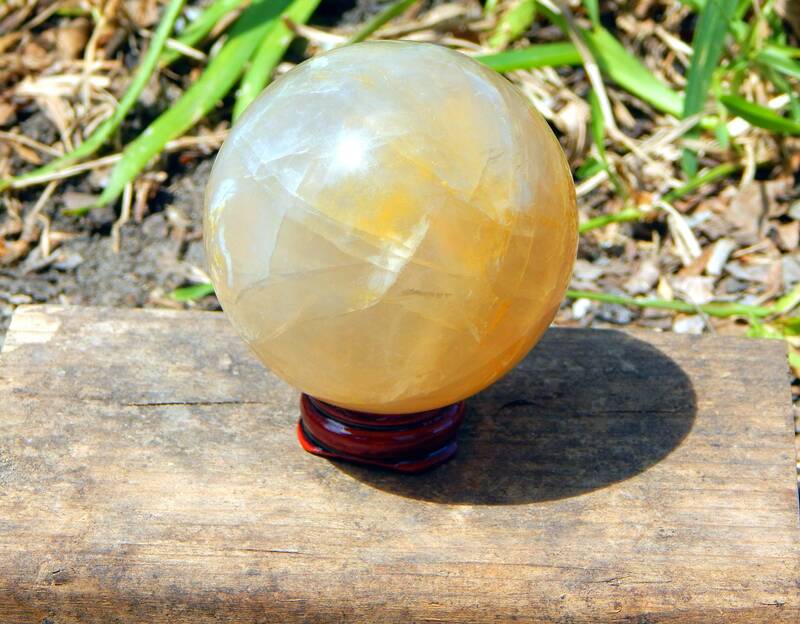 A large and beautiful, phantom filled natural Golden healer Hematoid Quartz sphere measuring 60 mm (2.4 inches) in diameter and weighs 350 grams (12.3 oz). 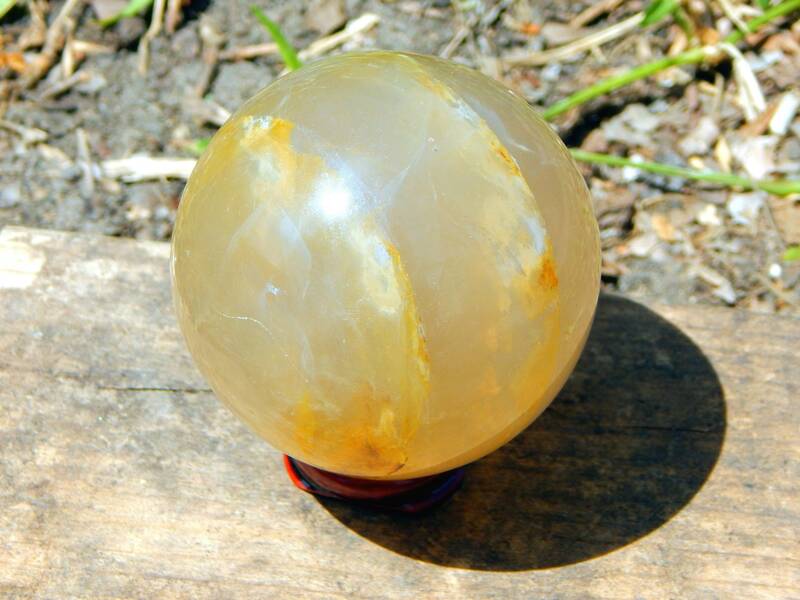 A perfect addition as an Altar decoration, scrying, or reiki tool, this stone has an energetic, empowering yet balanced energy. Comes with wooden stand. Discounted due to a tiny surface scratch that does not alter the beauty of this piece. 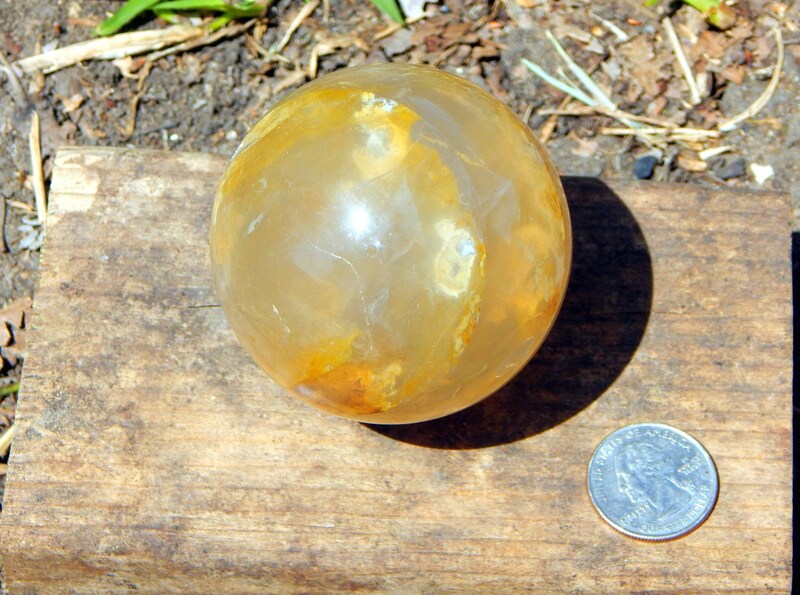 Hematoid Quartz is a tranformational crystal that combines the amplifying properties of Quartz with the balance and stability of iron in the form of Hematite and/or Limonite. 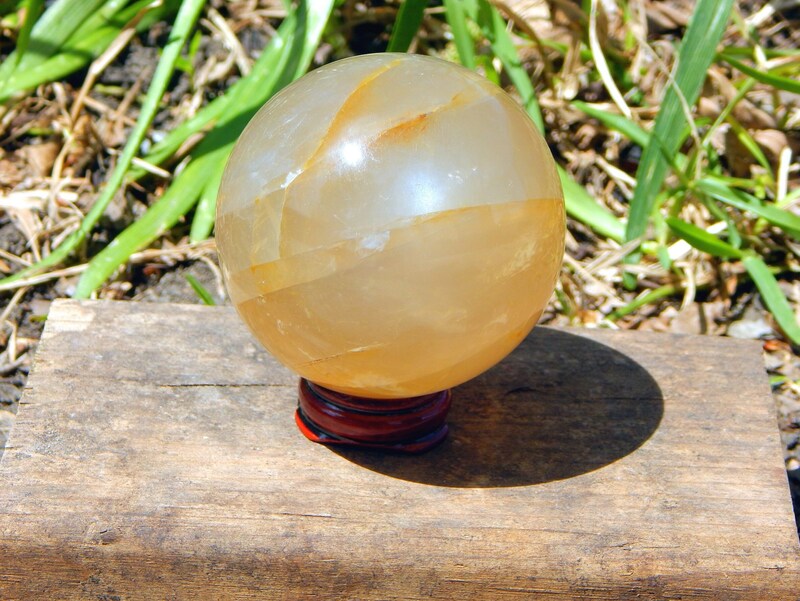 It is a highly energetic crystal that can assist not only in removing negativity but also transforming and transmuting this energy into a positive and pure Universal light of love. The combination of Quartz and Hematite balances the body, mind and spirit. It brings a unique clarity and understanding to the emotions, helping to understand the difference between an unconscious reaction and a conscious response. 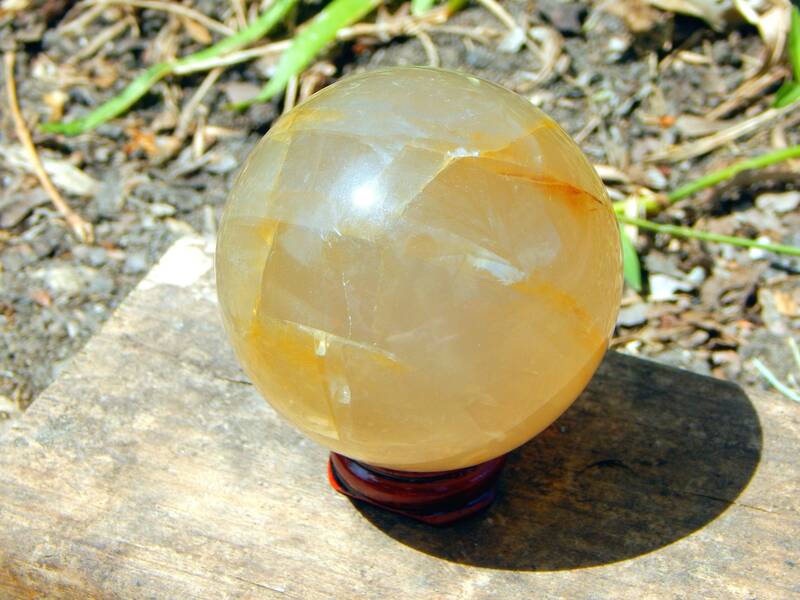 Hematoid Quartz also assists when Self Worth and Self Esteem are lacking. 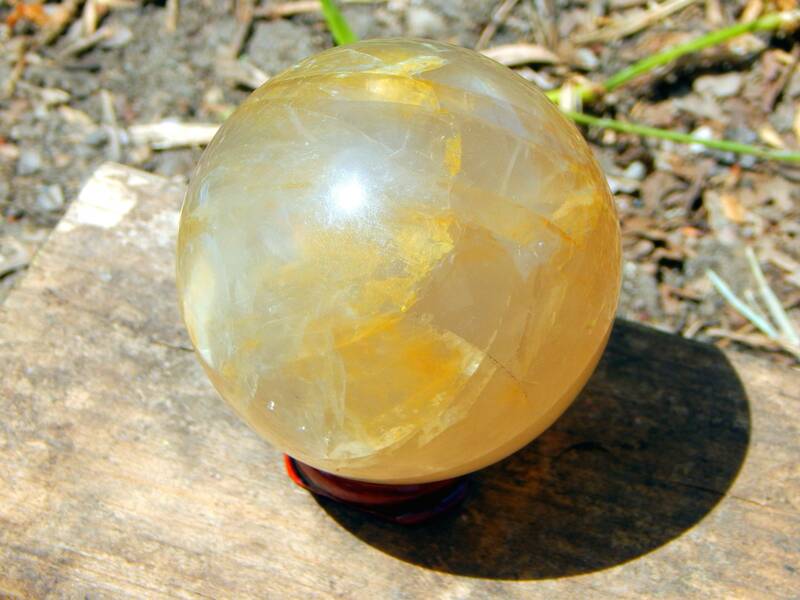 This crystal is also also known as Fire Quartz, Harlequin Quartz,and Golden Healer Quartz.